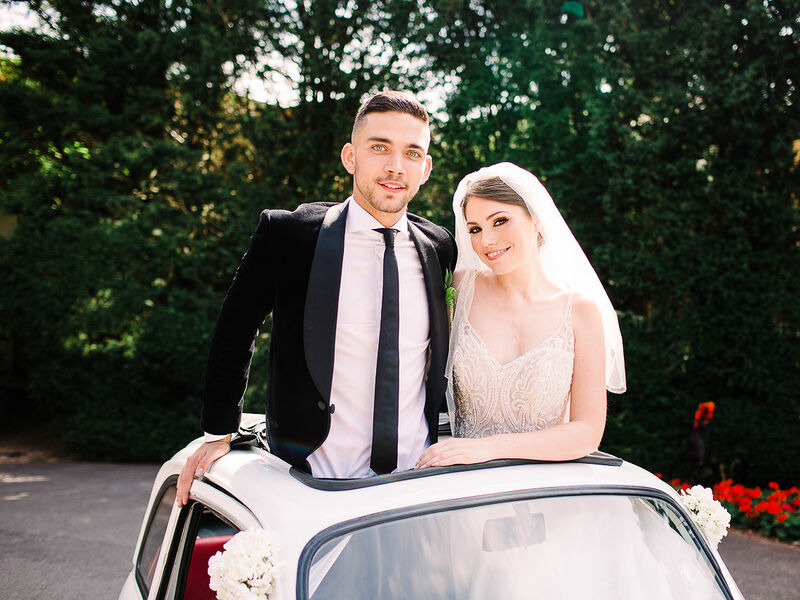 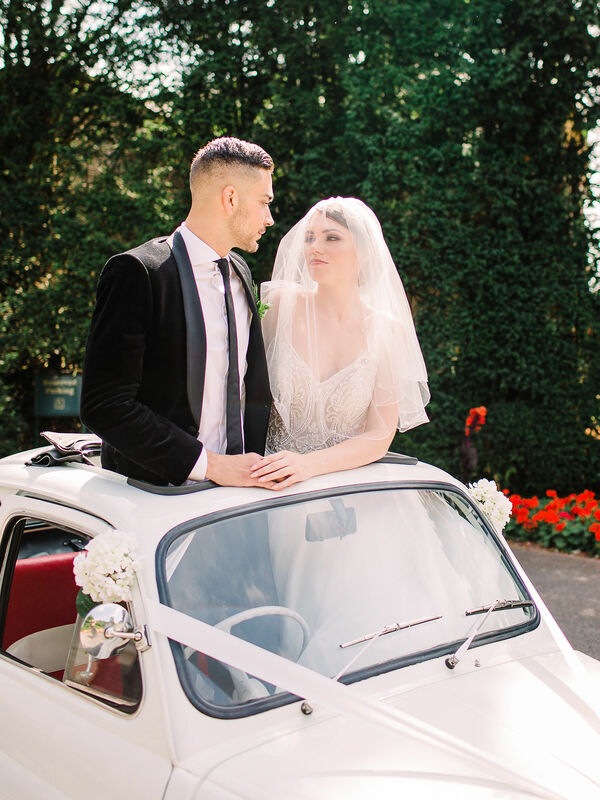 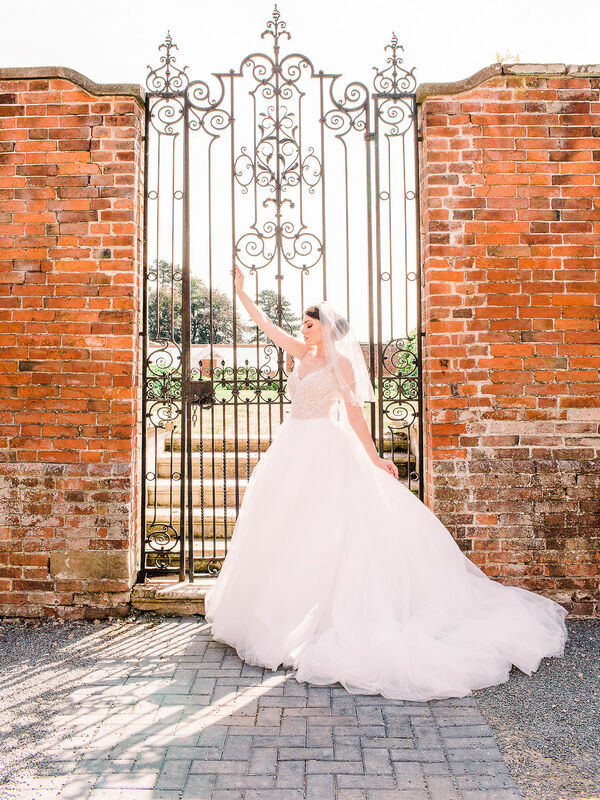 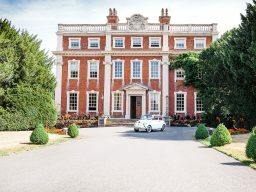 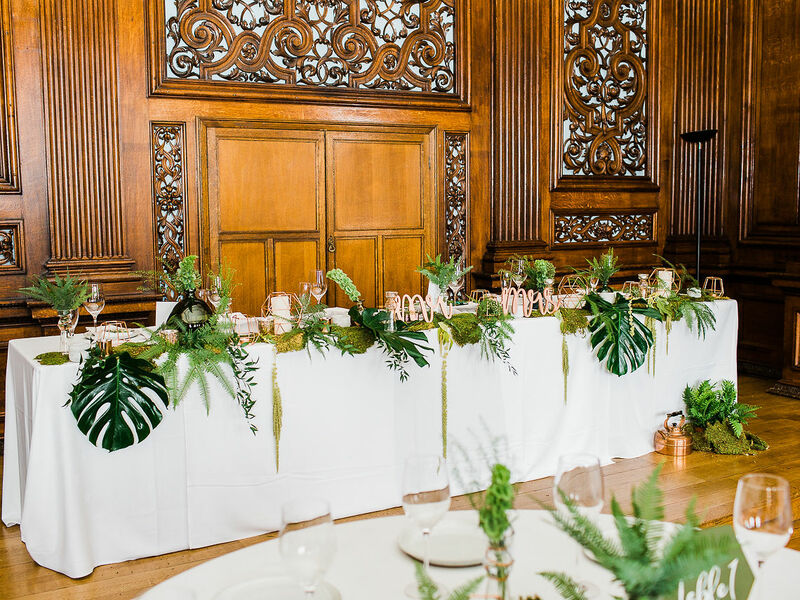 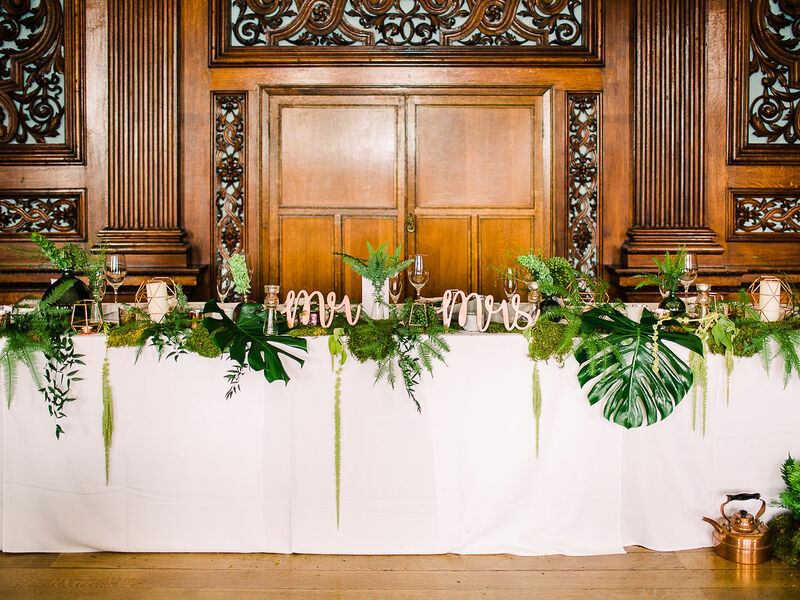 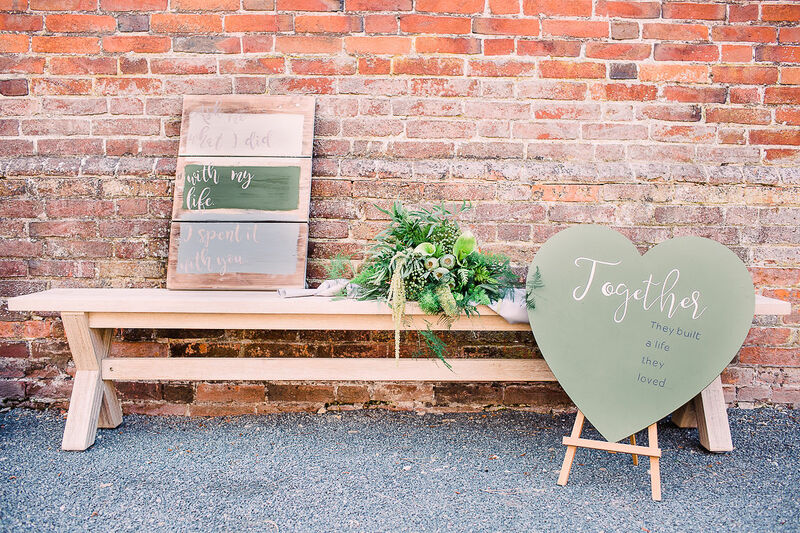 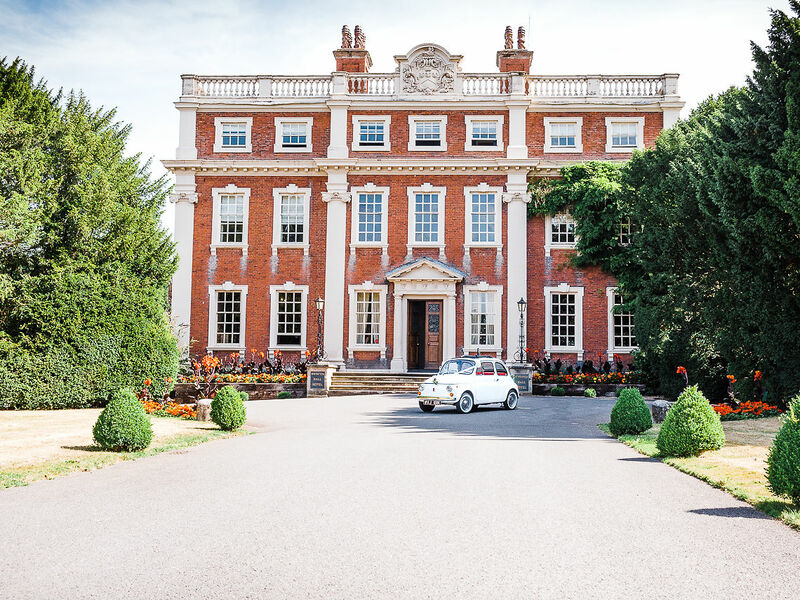 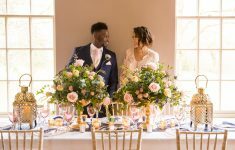 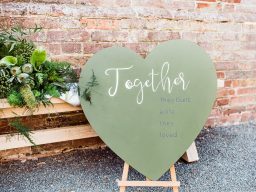 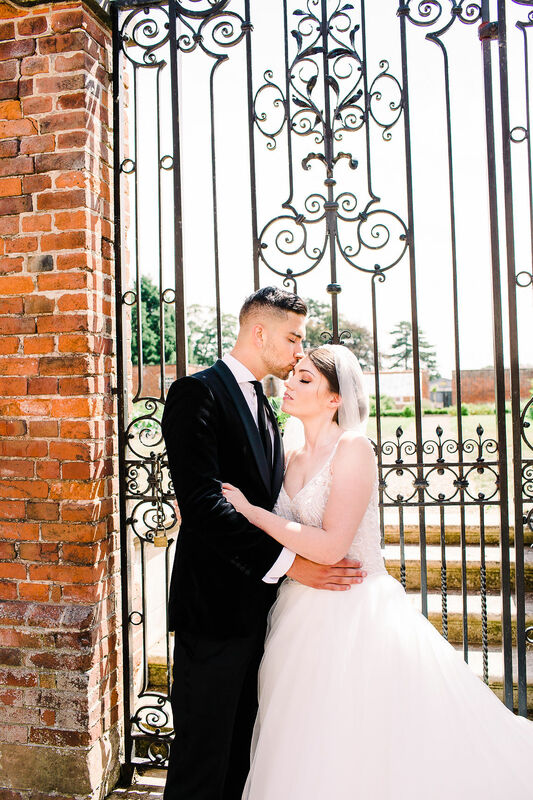 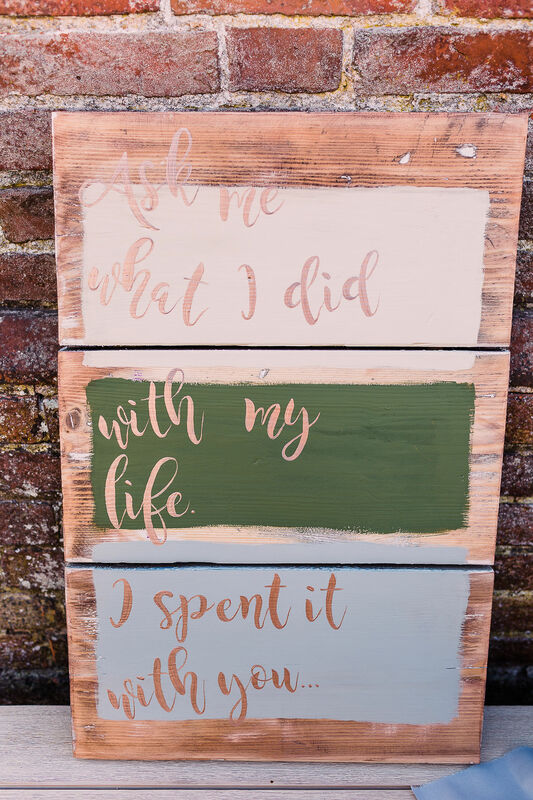 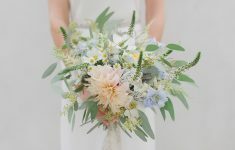 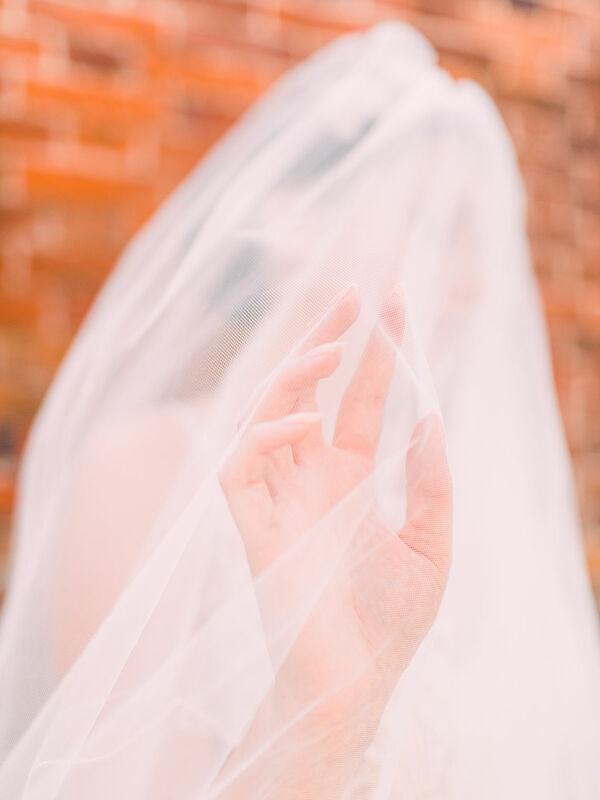 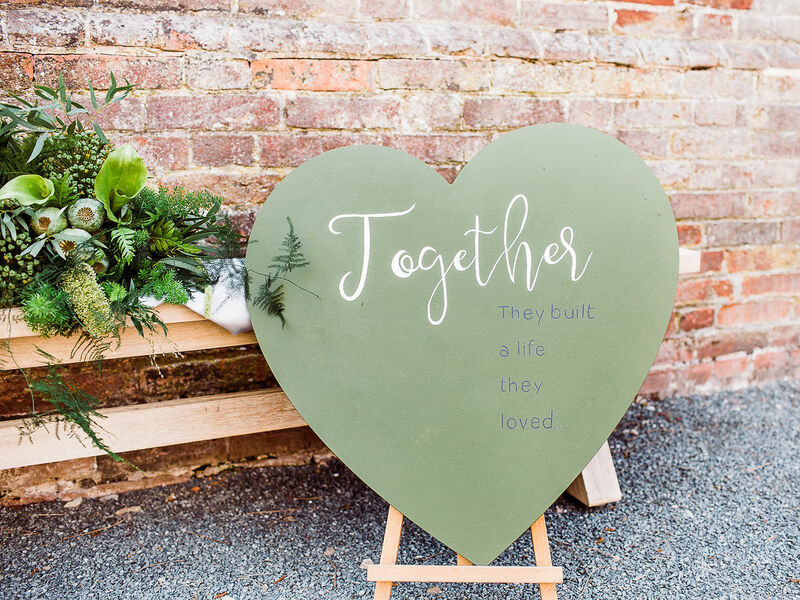 Becky Tranter of Life Through a Lens and The Cake Spa share their ideas for a creative and modern Summer wedding at Swinfen Hall Hotel in Sheffield. 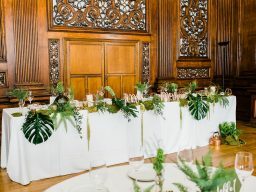 “The idea of the shoot was to provide a luxury, but achievable, feel, with a modern edge – mainly in the form of the deep green colour scheme. 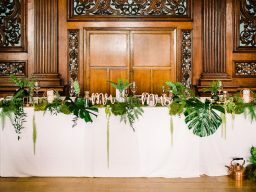 The choice to use only foliage, loosely arranged, was brave, but totally paid off as the overall look is so modern and unique. The hints of copper added a luxurious feel and add to the modern look, alongside the deep green accents. 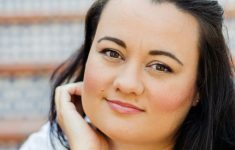 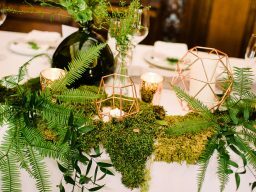 This look is easy to recreate for a stylish and creative look. 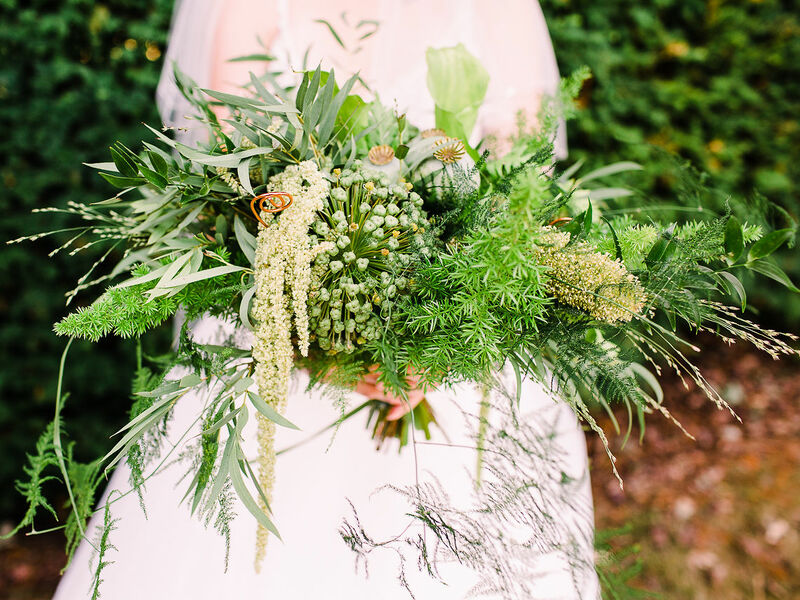 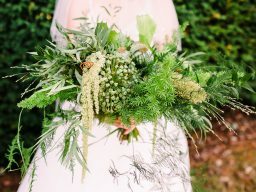 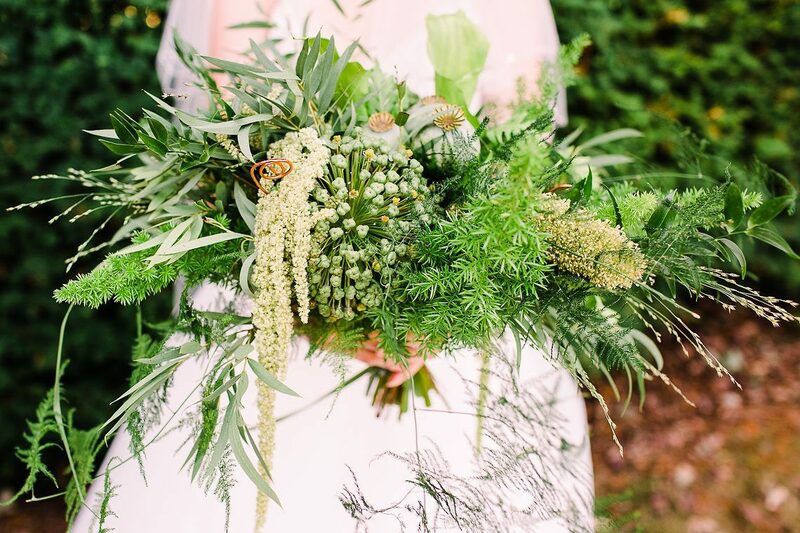 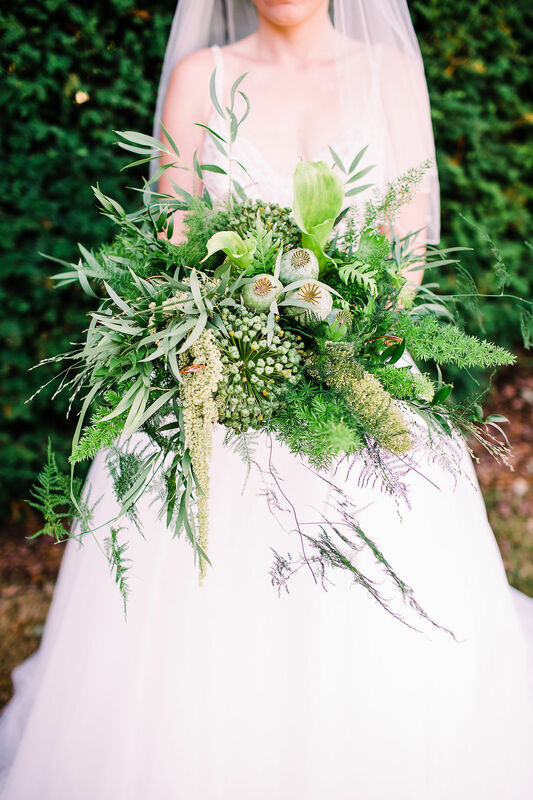 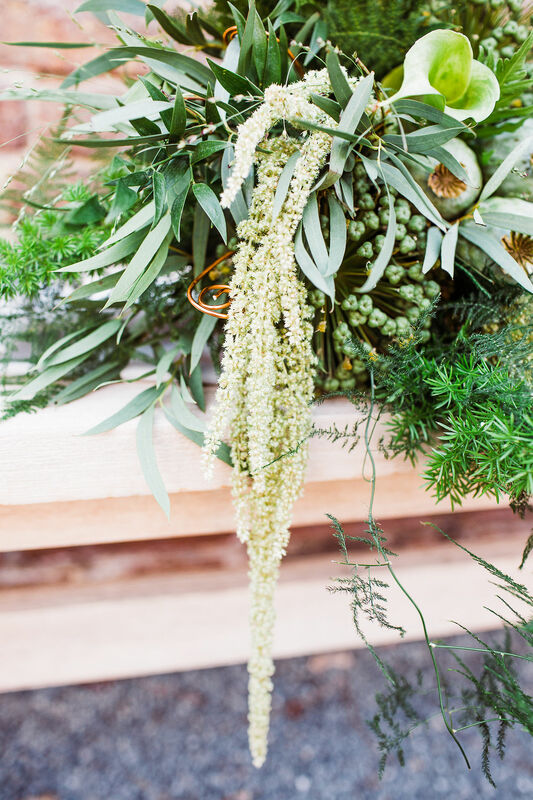 Greenery and the green colour palette is set to be huge, so I think this style will be really popular with brides. 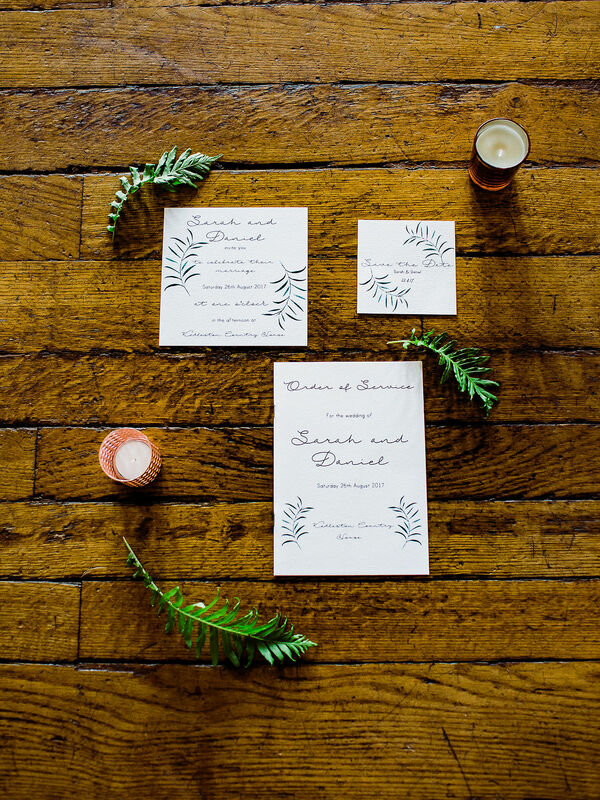 The smaller touches really add to this shoot. 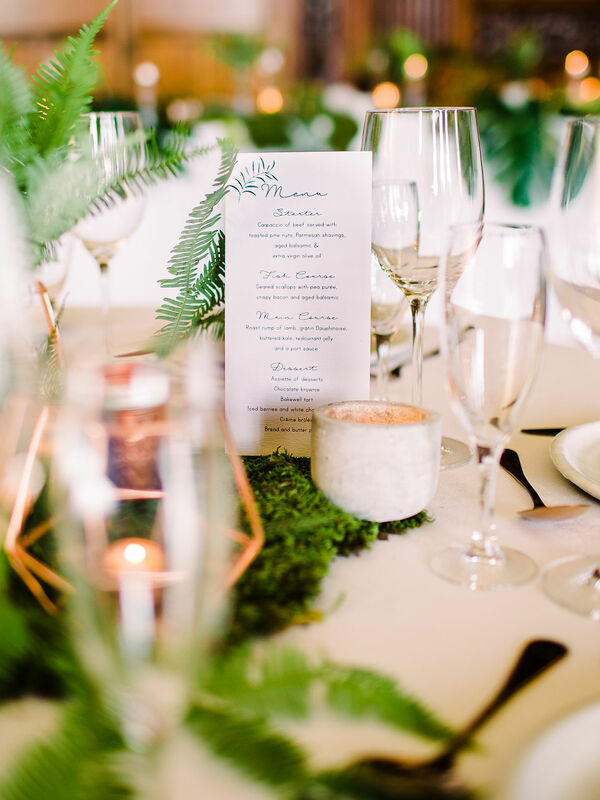 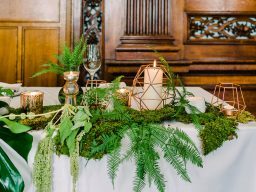 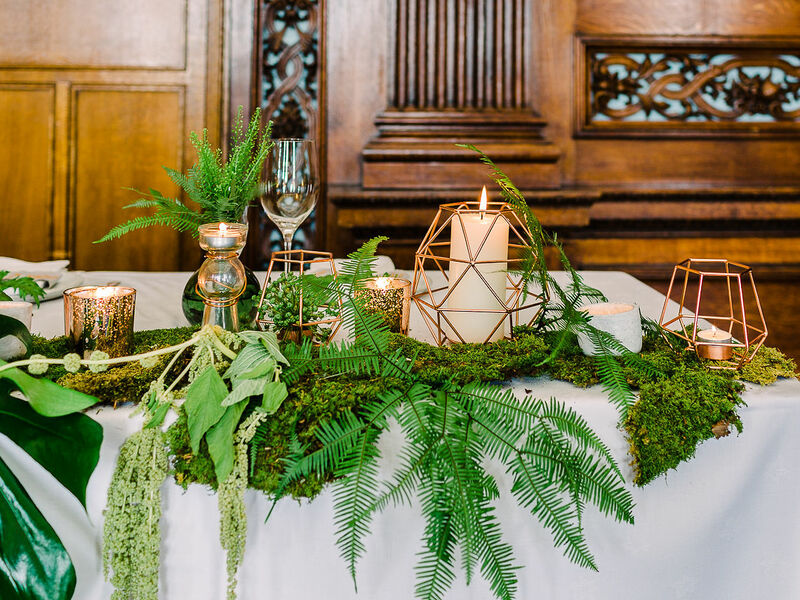 So for example on the tables, as well as the gorgeous greenery, hints of copper and concrete in the form of candle and tea light holders created a modern look. 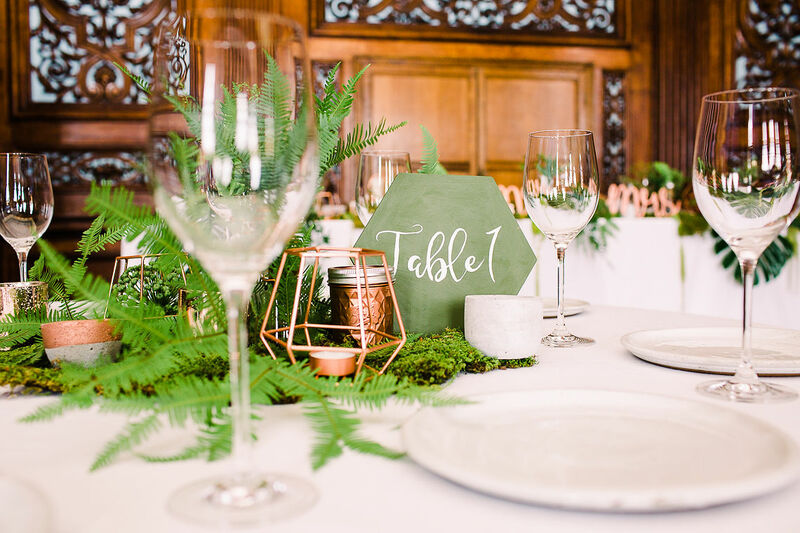 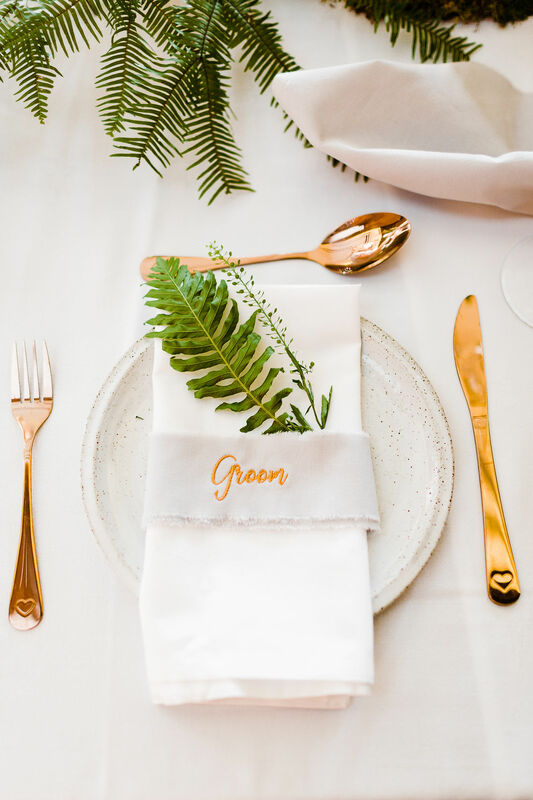 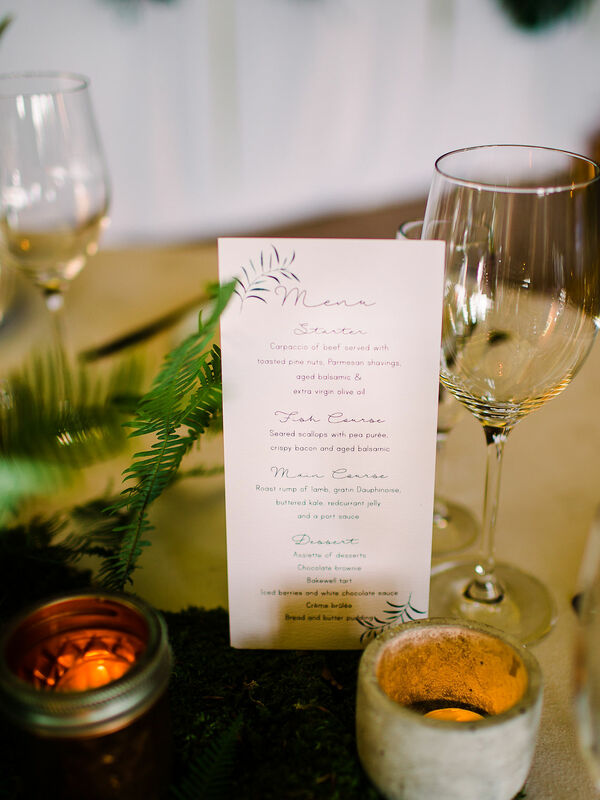 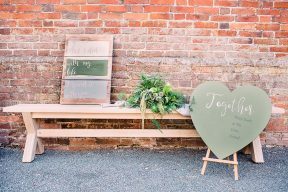 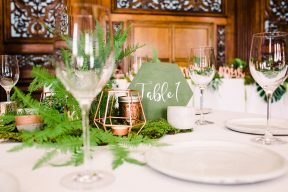 The wooden signs and table numbers, with hints of the deep green and copper colours. 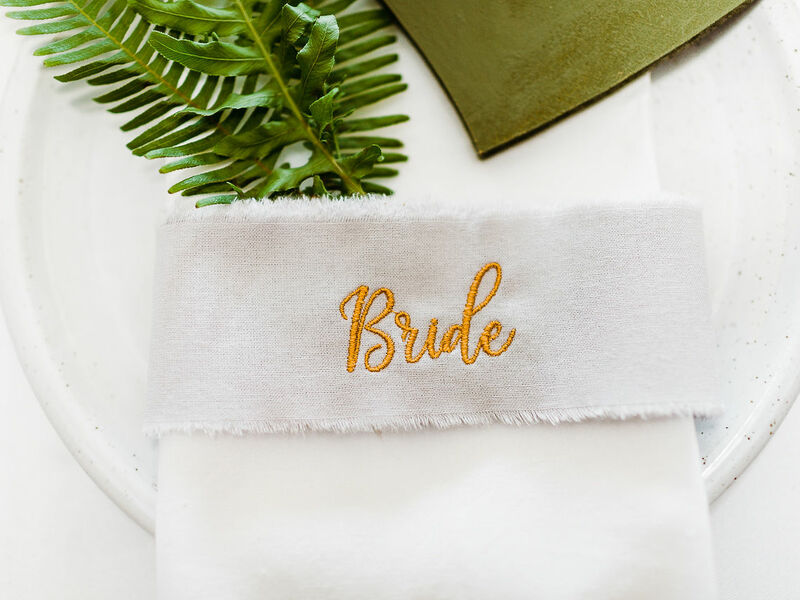 Tableplaces with beautiful embroidered names on silky material add a touch of luxury. 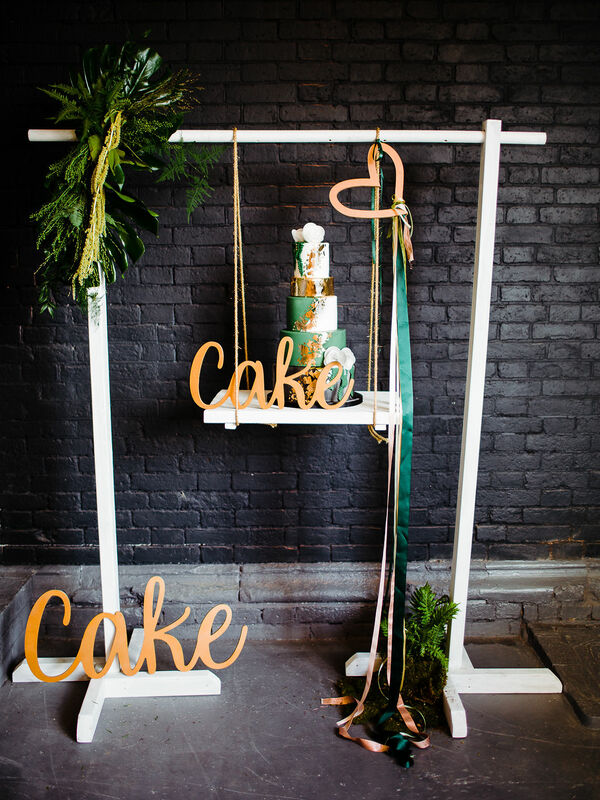 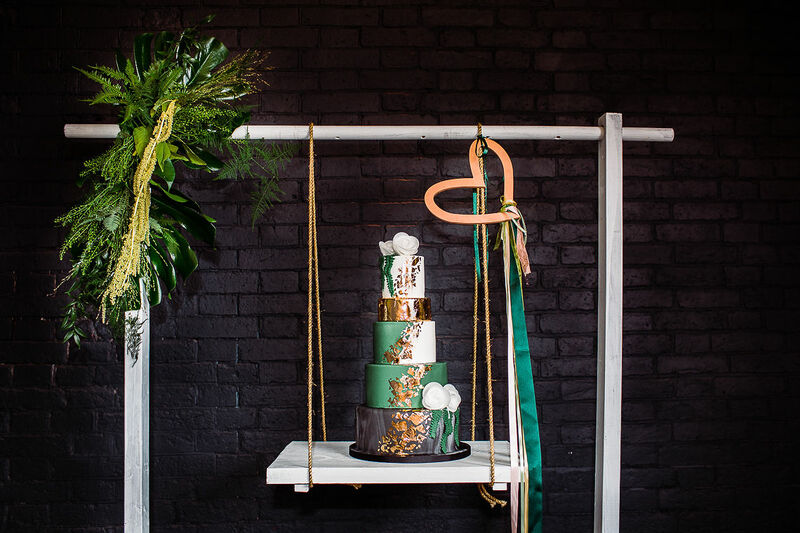 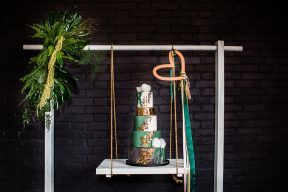 The cake is displayed uniquely on a cake swing, which was dressed with a spray of the same foliage and wooden signs, in keeping with the overall look, but as an amazing feature of the day. 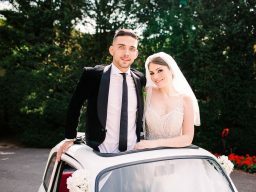 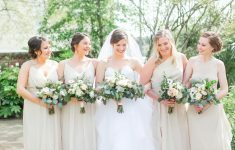 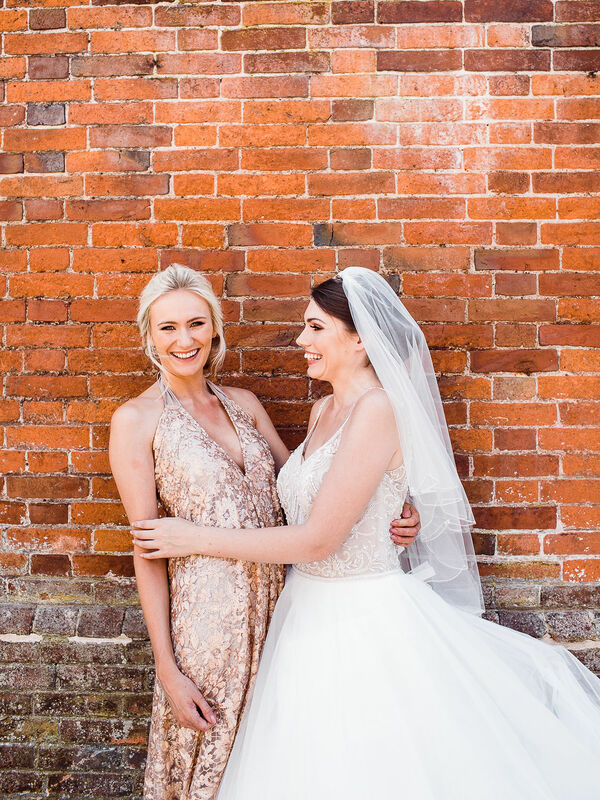 The bride wore a beautifully detailed bodice but with a simple shape, which mirrored the styling – modern with hints of luxury. 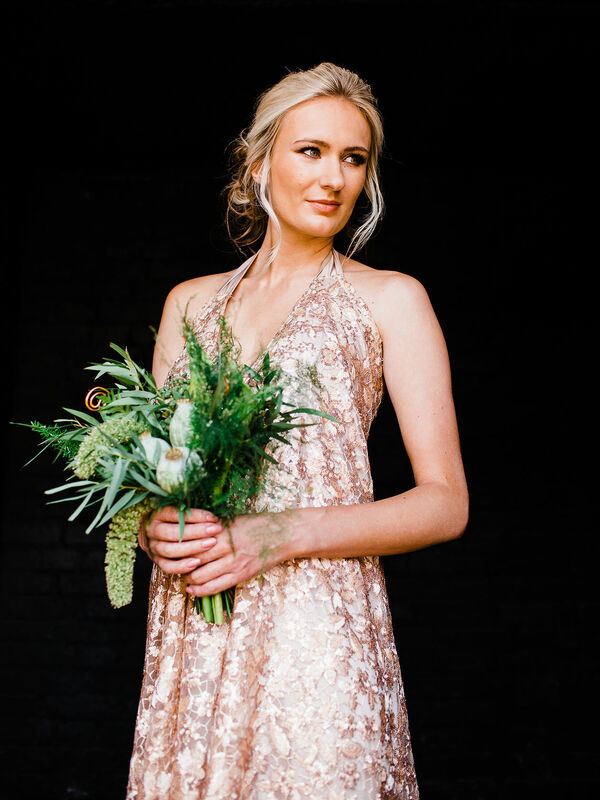 The bridesmaid dress added a bit of glam with the copper sequin look, in a simple cut – again the mix of simplicity with a twist of luxury. 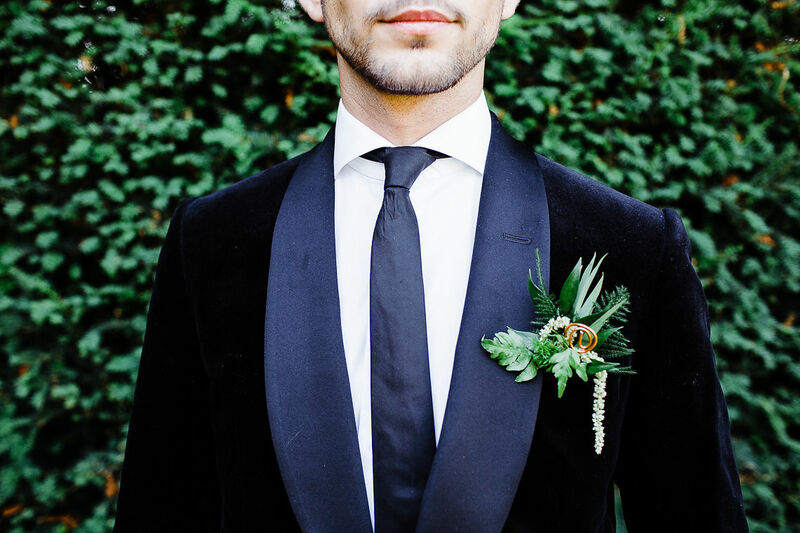 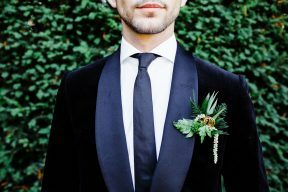 A theme carried on to the look of the groom, which a perfectly tailored velvet jacket – pure luxury!